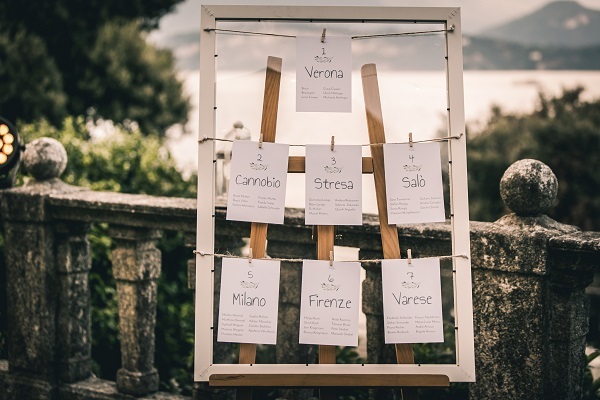 Your dream of a wedding in Italy come true: The Lake Garda is one of the most beautiful lakes in Italy and guarantee a perfect frame for a dream wedding in Italy. The beautiful castle Scaligero in Malcesine is situated in the east of the lake and provides the ideal setting for an unforgettable civil wedding ceremony in Italy with a with a breathtaking view over the lake. A most charming Italian trattoria will then welcome you and your guests for a romantic wedding reception & aperitif. During a romantic sunset in this gorgeous setting you and your guests will enjoy an exquisite Italian aperitif followed by a fine wedding meal. Our professional wedding planners with years of experience guarantee you a personal, customized and perfect service for your glamorous and unforgettable Lake Garda wedding. Wedding reception on Lake Garda incl.